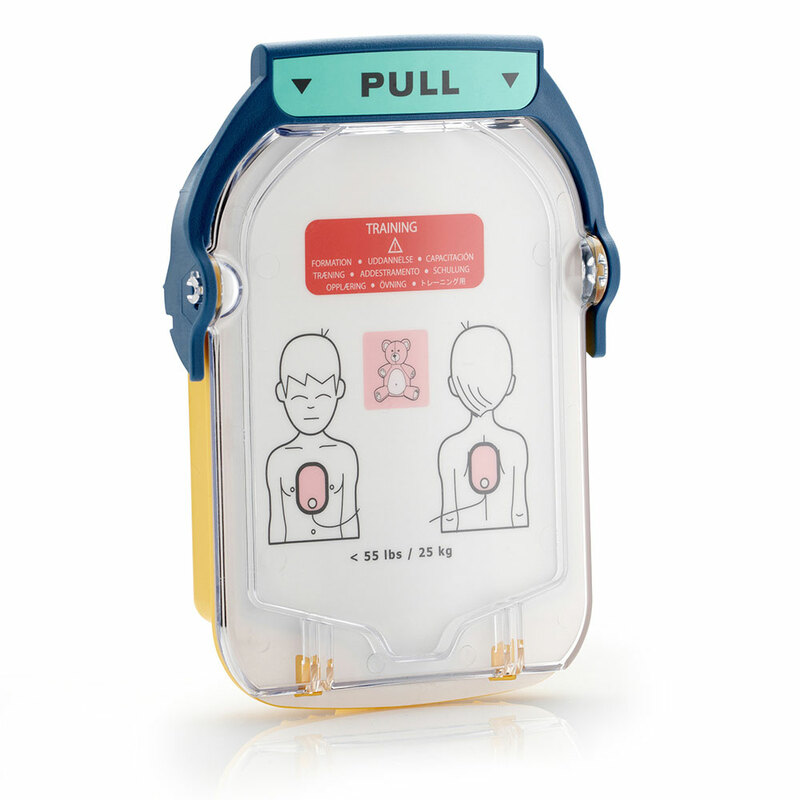 Use this cartridge to turn your live Onsite AED into a pediatric training device or to replace the pediatric cartridge in the Onsite Standalone trainer. Now includes a FREE Infant/Child Pad Placement Guide. The defibrillator's voice instructions include cardiopulmonary resuscitation (CPR) coaching. The training electrode pads cartridge can also be used on a manikin, with the aid of an External Manikin Adapter or an Internal Manikin Adapter or alone with the included Infant/Child Pad Placement Guide. Remember, the replacement Infant/Child Electrode Training Pads are available, too! The infant pads work perfectly, easy to swap from adult to infant, and makes a CPR/AED training class complete.